During the last couple years we’ve been taking part in numerous hackathons and events. Hack The Visual was perfect fit for what we do at Imagga. The goal of the event is to connect different types of visual data to each other and create new and interesting prospective. All data is welcomed – pictures, music, video, geo-data, even open data, you name it. In just 48 hours over 100 participants were hacking on projects mashing existing APIs and data sets to find a solution for a real life visual problem. The main challenge was to bring together photos, videos and other kind of imagery with hardware, interfaces, platforms, apps & services in order to unlock the next step in visual culture. Grand Prize went to Splatmap – web application that allows you to photograph buildings with your smartphone and plot the information into the application. Hack the Visual event in London. Shot for Canon Europe Ltd. 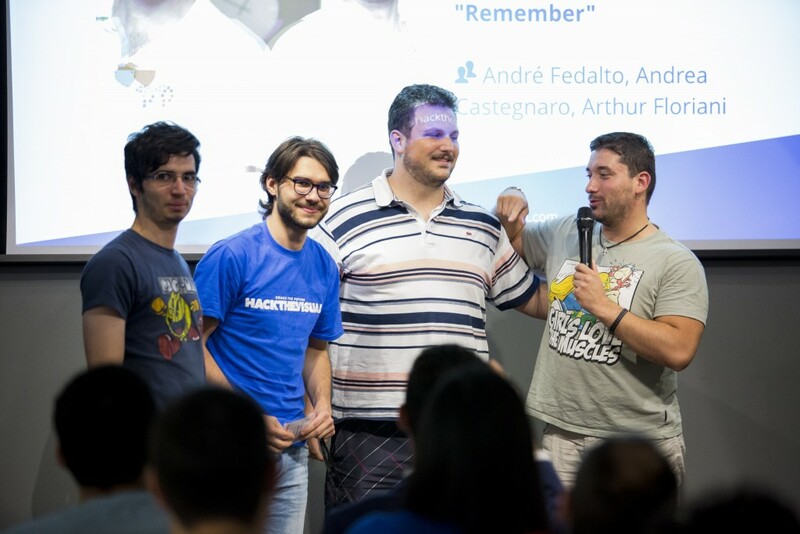 The special Imagga API prize went to Remember – app that triggers your memories using your own photo collection. Re/Visit a place and Remember will remind you of pictures you or someone else snapped nearby. It can also search for relevant photos based on the topics in the photo (using Imagga’s image recognition tagging API), turning your photo library into a smart conversation starter wherever you might be. Overall, great event! See you next time. And do not forget to give Imagga APIs a try!